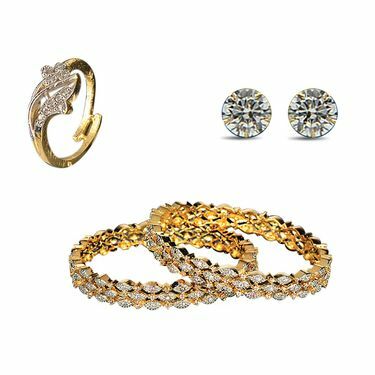 Elegant & classy, Diamond Diva Collection with 4 Assorted Freebies is an elegant assortment of jewellery sets. Skillfully crafted, each piece is exclusive in design and finish. Crafted with special alloy metal, the collection is skin-friendly and does not lose their luster easily. Studded with superior quality stones and gold plating each set has a contemporary look will surely complement your ethnic attire. Whatever the occasion is, jewelleries plays an important role in terms of enhancing the overall look of the individual. There are so many designs that sometimes make us confuse when it comes to picking one. Keeping every need in mind right from the quality to designs, stones to price, we reviewed Diamond Diva Collection with 4 Assorted Freebies. 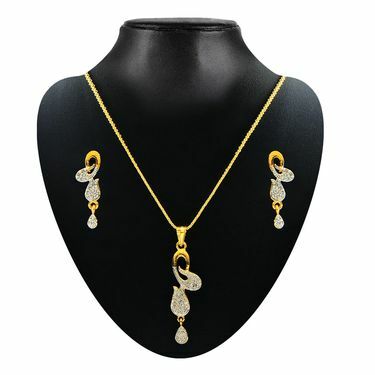 Design and Finishing: The intricate designs with superior quality stones and gold plating offers you to own jewellery at a cost much lower than that of real ones. Moreover, the sets with finely finished to make it look elegant at all festive occasions, wedding, parties and so on. 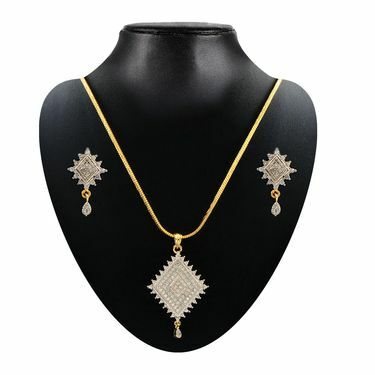 Wearability: One can effortlessly wear these jewelleries without hurting the neck or ear. Also, it will not lose its shine, get scratched, bent, dented and wear down during normal use. Reviewer: Beautiful in design, high in quality and value for money, we highly recommend Diamond Diva Collection with 4 Assorted Freebies that will make you look fabulous at all social events. Diamond Diva Collection with 4 As..VSDiamond Deal Jewellery Collection.. Diamond Diva Collection with 4 As.. VS Diamond Deal Jewellery Collection..
Diamond Diva Collection with 4 As..VSDiamond Dhamaka Jewellery Collect.. Diamond Diva Collection with 4 As.. VS Diamond Dhamaka Jewellery Collect..
Diamond Diva Collection with 4 As..VSNoori Jewellery Collection with 4.. Diamond Diva Collection with 4 As.. VS Noori Jewellery Collection with 4..
Diamond Diva Collection with 4 As..VSSumangali Gold Jewellery Collecti.. Diamond Diva Collection with 4 As.. VS Sumangali Gold Jewellery Collecti..